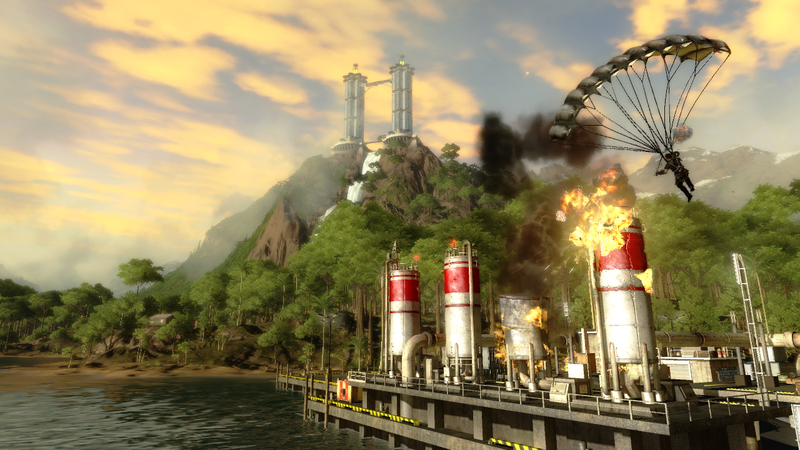 I have to say I love playing Just Cause 2. I have even quit playing Final Fantasy XIII (another great Square game) just to cause more Chaos around the Island of Panau. I spend most of my time going around exploring the rich environment while discovering towns and military bases to cause Chaos in. In about 11 hours I only done about 3-4 actual missions for the Reapers, they were fun (I really liked hijacking the Limo) but I am more interested in just exploring for the time being. For me the draw of this game is the fast paced combat and getting 100% completion for the places I discover wandering the globe. The thing I like about the combat is the action feel, as long as your targeting X is close to enemy you still can hit him (which is very nice). It does very by the weapon you are using and how upgraded it is. For this reason I have been upgrading my pistol to give me the best chance of hitting my target. All in all this game is a blast to play and I cannot wait to explore more!